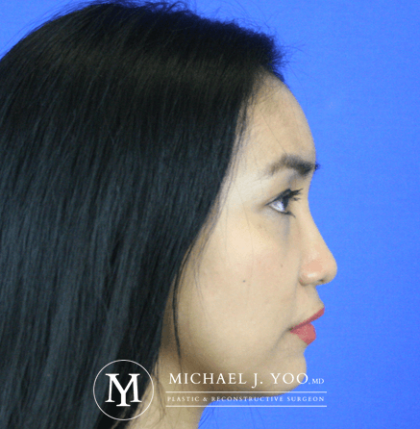 This patient desired an improvement in the appearance of her nose using less invasive methods than surgery. 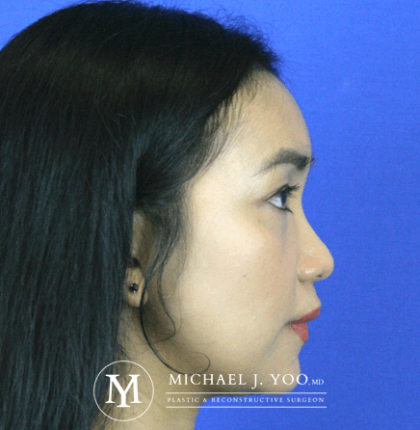 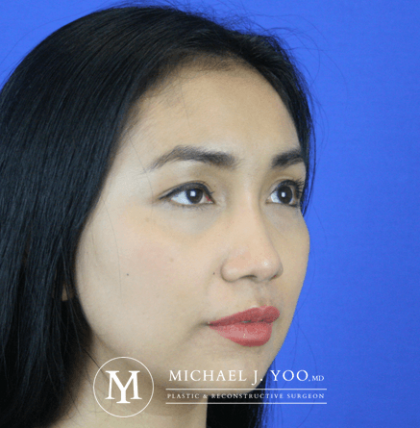 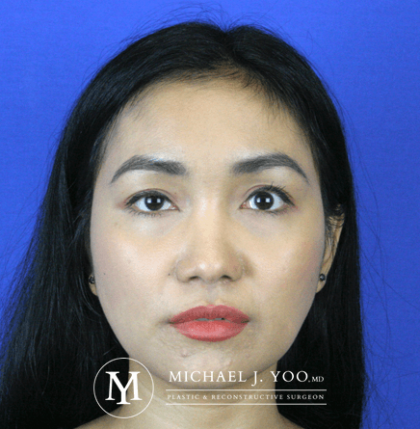 Filler was used by Dr. Michael J. Yoo, MD to augment her nasal bridge and mid-vault producing a better balanced nose on both frontal and side views. 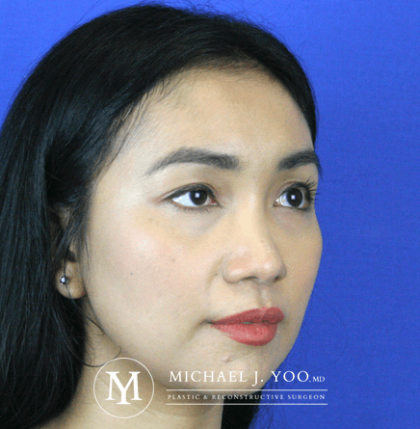 Note the 'narrowing' effect on the width of the nose (particularly on Frontal View) after increasing the height of the nasal bridge. 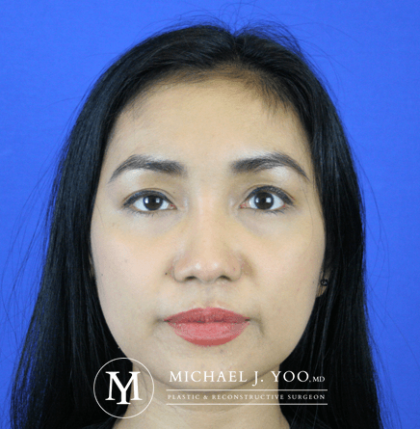 Dr. Michael J. Yoo, MD is a Double Board Certified Plastic Surgeon with expertise in surgical and non-surgical rhinoplasty.